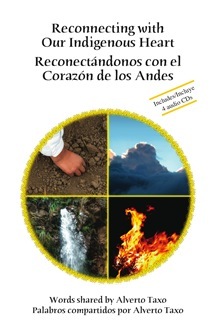 In this unique audio recording, Master Iachak Alberto Taxo speaks with great eloquence and passion, calling us to return once again to our own heartfelt connection with the elements and nature. 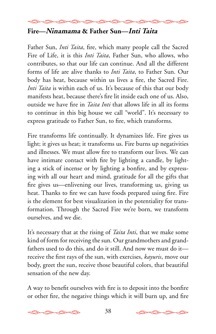 He reminds us of the great power to be found when we bring awareness and gratitude, along with our own ways of intimate connection with nature—back into our hearts and lives. This he calls the Power of the Condor. Includes audio CDs of Don Alberto’s original recording in Kichwa/Spanish, as well as a reading of the English translation. 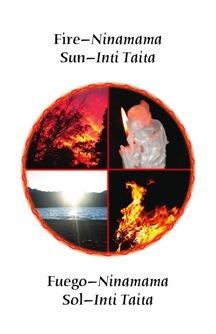 Bonus CD—Friendship with the Elements: song prayers and drumming for journeying, meditation, and deepening connection with the elements (formerly titled, Journey of Connection). Note: Friendship with the Elements CD can be purchased separately under the title of Friendship with the Elements: Love Songs to Water, Earth, Air, Fire.